Hello, These loaves are to bring to a New Year's potluck (no crumb shot...although the bread smells so good I'd dearly love to cut into one so I can taste it!). Inspired by louie brown's Olive Leaf scoring to evoke the olives in his bread, I tried to score little garlic bulbs on the tops of my loaves. This dough fermented beautifully - I hope there will be a nice crumb once it's cut & that everyone likes it! 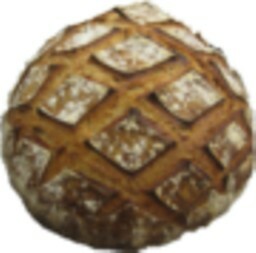 breadsong, I am truly flatered. I was about to post that I admired your scoring before I read your post. And I do! That curve is lovely and graceful. 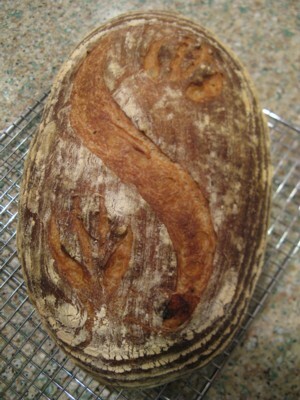 I am going to try it on my next batard. this will be a hit at the potluck ! Gorgeous bread as usual! This is a great formula that I'm sure will give you the crumb you're looking for, if appearances are any indication.The slashing is very pretty IMO. If you've never tasted this bread before make sure to have some evoo to dip it in or maybe a soft cheese to spread on a warm slice. You'll love it! And a very Happy New Year to you too! Thank you for your compliments! Yes, the cheese and good evoo are must haves to go with. I just added another crust shot - crackles have appeared. Is this your 1st time using the RF? I'm interested to hear your impressions of it re: mixing and hydration adjustments (if any) and of course flavour. The crackly crust indicates you nailed all the right elements, such as final proof, steam and oven heat. Nice baking breadsong! 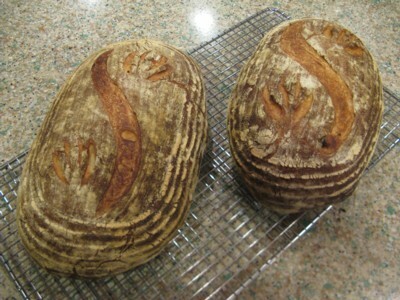 Very nice looking batards, breadsong! The crumb shot would have been welcomed.. Lovely scoring too! Beautiful breads, Breadsong. Happy New Year to you and yours! 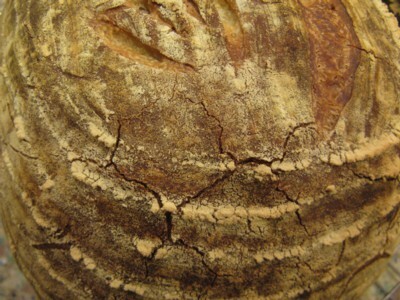 Lovely pattern and cracks in the crust..great for New Years! I was really pleased with how the crust turned out. I was hopeful - the loaves sang nicely after coming out of the oven - such things make me happy! scoring, looks a bit Celtic.